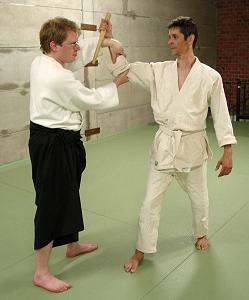 Here are a few of the unarmed defences against an attacker armed with a dagger from Fiore Dei Liberi's "Flos Duellatorum". 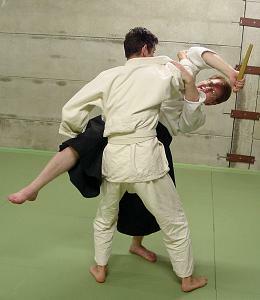 The pictures are 'posed' for clarity and to accomodate the long exposure times needed to photograph in our poorly lit training hall, and as such the postures are not always as they would be for execution of the techniques at normal speed. 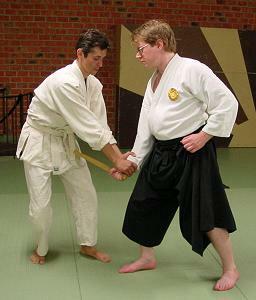 The costumes are from our previous activity. 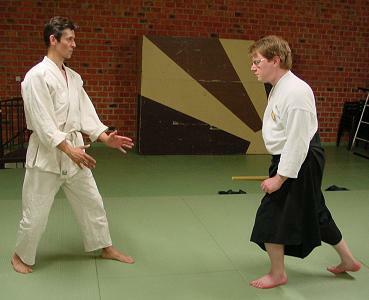 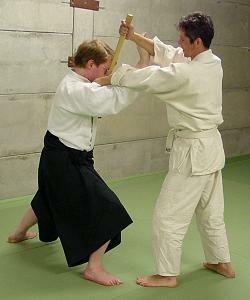 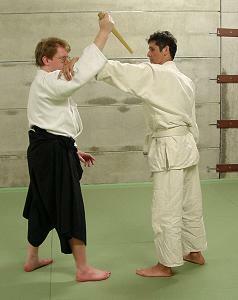 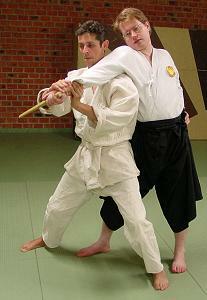 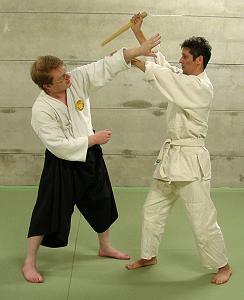 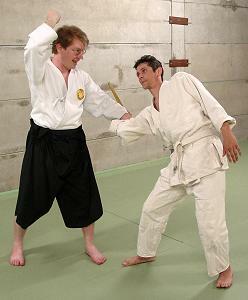 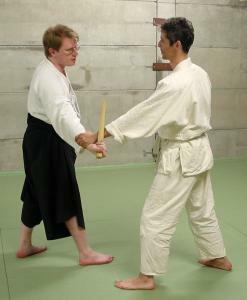 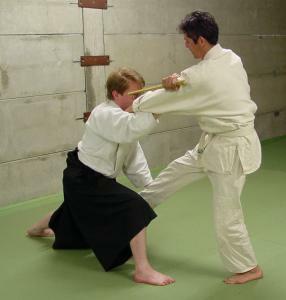 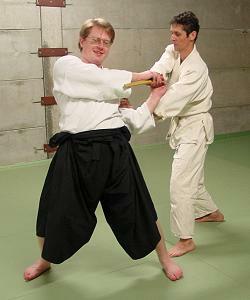 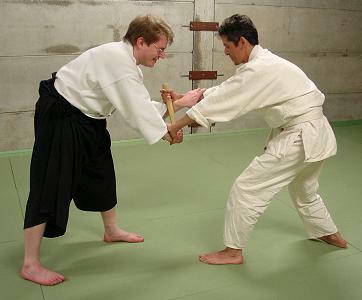 the "prima presa" basic defense against a downward stab. 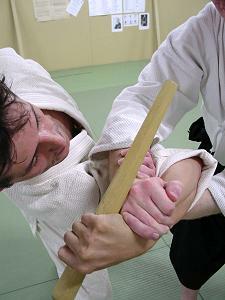 you can also grip closer to the wrist, but this will be difficult if he is stronger. 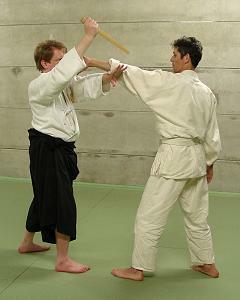 the first counter is to grab the dagger with the left hand and apply pressure on his left arm. 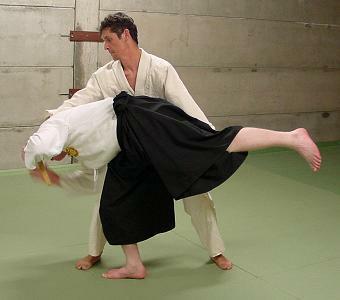 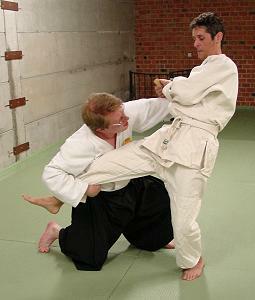 A variation of the "prima presa" where the arm is locked. 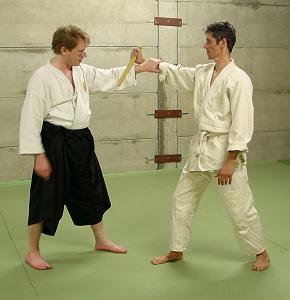 The counter to this is to join both hands and pull down on his elbow. 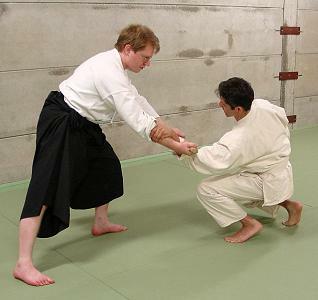 A counter to this counter: lifting his leg and pushing back with your locked arm. 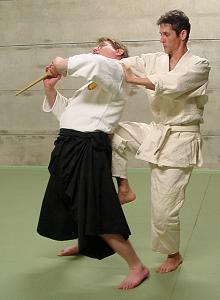 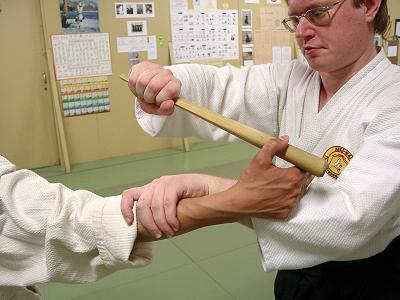 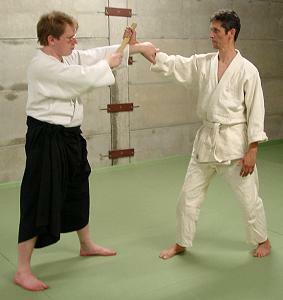 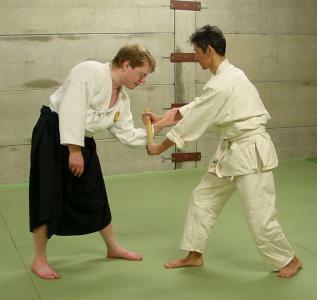 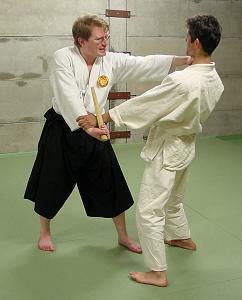 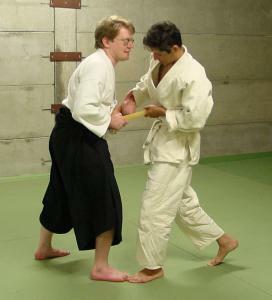 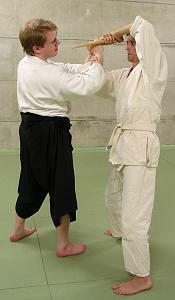 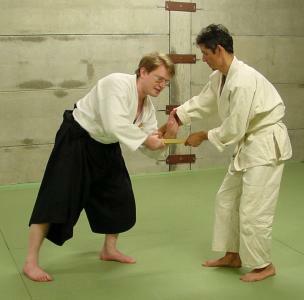 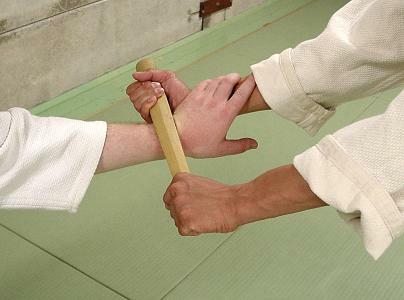 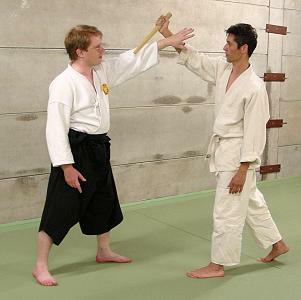 A variation of the previous defence, where the other hand is used to help bend the attackers arm. 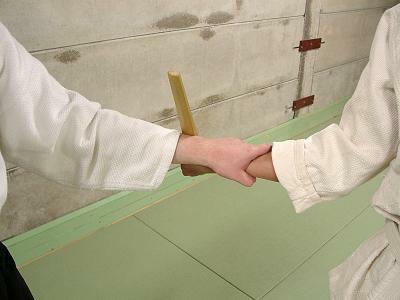 This is countered like in the first counter to the first defence, by pulling down on his wrist, holding the dagger with both hands. 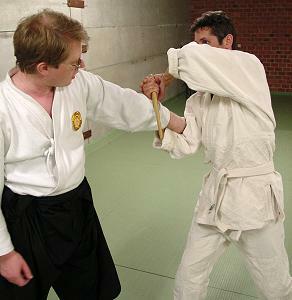 Another technique against the downward stab. 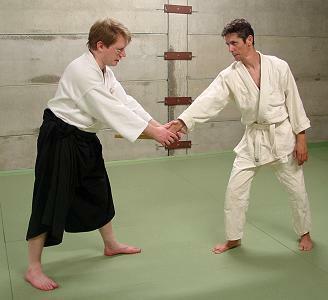 The counter is to join hands and push through his attempt at locking your arm. 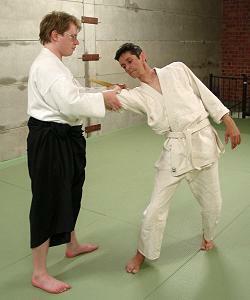 Another variation on the "prima presa": grab the dagger and twist it out of his hand. 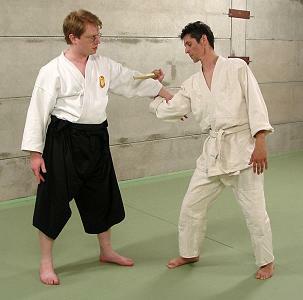 The counter is similar to the first one, except you pull down his left wrist by pulling his right hand instead of the dagger itself. 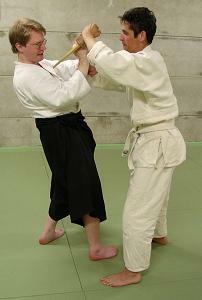 Against an upward stab, breaking the arm over the shoulder. 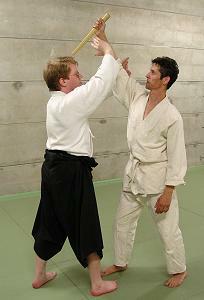 A simple counter is to push his shoulder away and pull back your dagger hand. 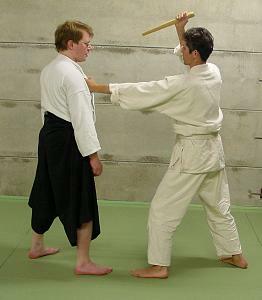 Or pull and kick him in the back. 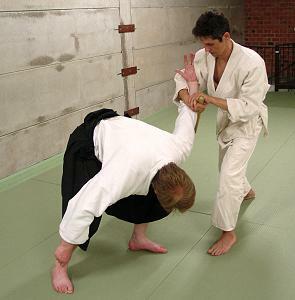 Or twist your trapped arm counterclockwise, push down his head and lift his leg. 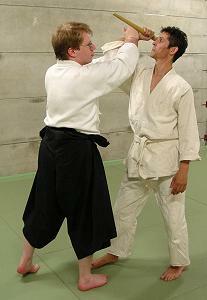 Another counter to the "prima presa": step forward and attack his throat. 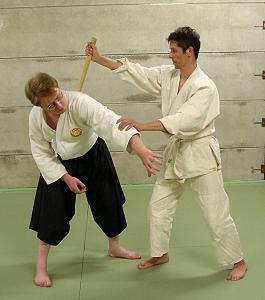 A counter to the first counter: free your left hand by pushing down the handle of the dagger, then use your body to drive the dagger into his stomach. 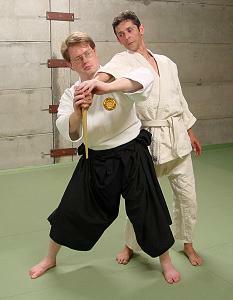 Here the attacker has a hold on your clothing when he stabs. 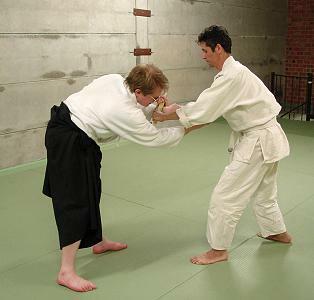 Push away his attack with your right hand, and lift his advancing leg. 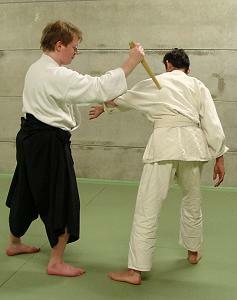 A different counter to the "prima presa": push his defence aside and stab his back. 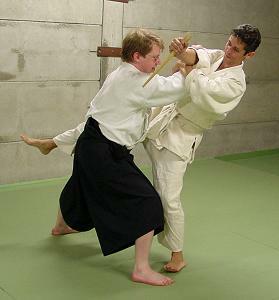 This suggests that the first attack was a feint. 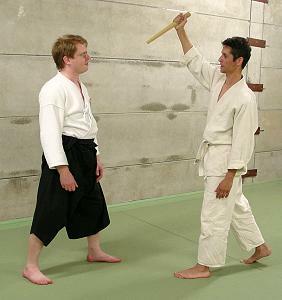 the same from the other side.